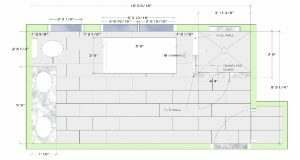 In this article, I will describe some of the various steps a client may experience in working with a Design-Build firm for a typical remodeling project. After the initial meeting and a measure of the project space, I render a scaled floor plan of the existing space and then the proposed space, showing the position of major elements and the proposed changes. This provides the clients an idea of the overall balance of the room and general placement of elements. 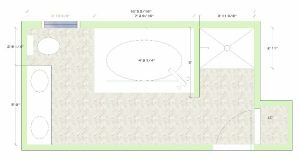 An example of a bathroom existing floor plan and the proposed floor plan is shown here. 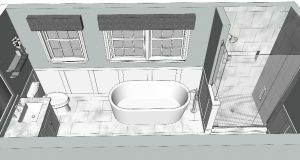 This shows the changes we are planning: adding a second double window over the tub, cutting back the left shower wall and creating a lower, half wall and increasing the front-to-back depth of the shower. Many times, clients need additional visual help, beyond the 2-D floorplan of the proposed space. In this case, a 3-D visual was needed to show the proposed changes. 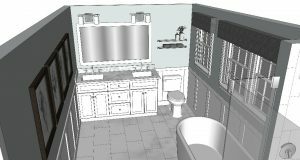 Once the 3-D renderings are presented, the clients could immediately see what their new bathroom will look like. Several perspective views are shown below. Another 3D perspective view of the space. Now that the proposed design is established, I begin recommending finishes: in this case, vanity style and color, tile, countertops, plumbing fixtures. This is done with a series of meetings to set up visual vignettes to choose from. 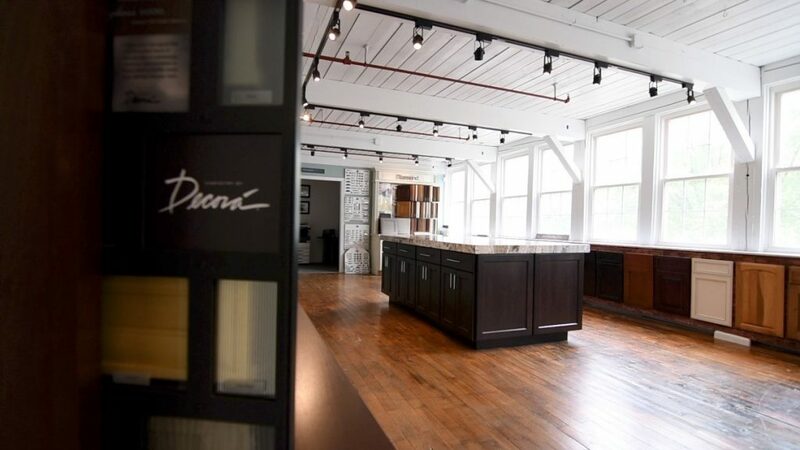 Luckily, my firm has a designer’s library and large display table where I bring together sample tile boards, sample vanity doors and color chips and stone samples. The Masters Touch Design Build Showroom. Once the materials are put together in-house, I’ll meet with the client at a local marble and granite facility to tag the piece we want. This meeting provides the client with the opportunity to see the stone in slab format; the big picture so to speak! Samples of the selected cabinetry and tile are brought along for visual confirmation that the stone is working with our overall color concept. 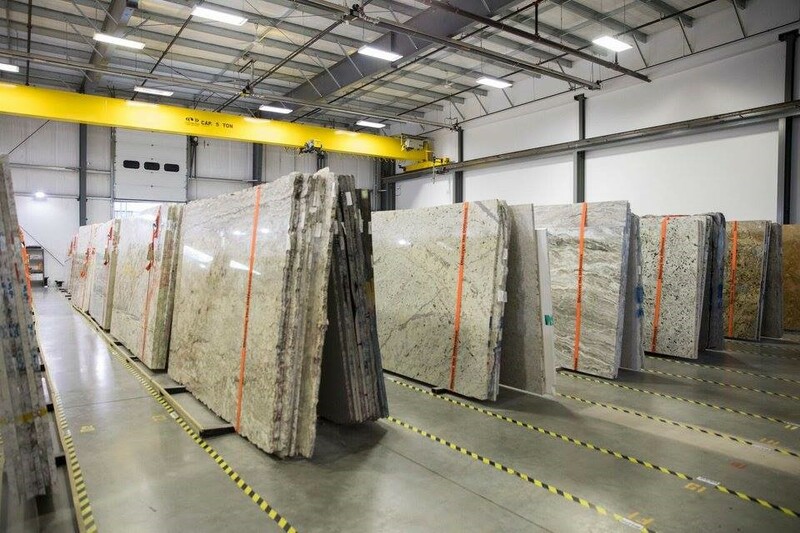 Stone slabs at our local marble and granite supplier await customer selections. I also meet the client at a local plumbing supply house to select the plumbing parts and lighting. 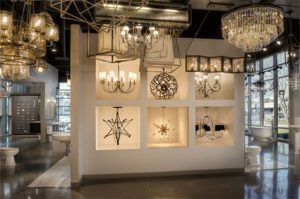 Lighting options help clients visualize the finished design. With the major items specified, we’ll meet again to choose paint colors, hardware, grout colors and any other details needed to complete the room. Finally, layering in accessories like artwork, rugs, towels and window treatments add the finishing style elements that create the uniquely designed room the client was hoping to achieve. Clients love to have visuals when choosing the elements that go into the design of their space. 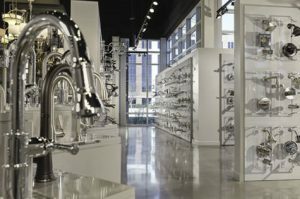 The ability to visually present the design is essential in translating the concepts into reality while allowing the client to fully participate in creating their new, beautiful space! The Hopkinton Home: KonMari for the Kitchen?